The automated management of inventory, predictive maintenance, and self optimized production are key reasons that will boost the demand of IoT in manufacturing industries. Manufacturing companies are increasingly interested in finding out how IoT can help them to increase the satisfaction of customers, reduce cost, improve quality, and support new business models. The growing use of location-based sensors in the manufacturing sector for tracking and managing inventories will bolster the growth prospects of the IoT market for manufacturing in the period from 2017 to 2025. The Internet of Things (IoT) is revolutionizing several sectors, such as healthcare, automotive, or food and beverage. In manufacturing, IoT is changing business models and automating several processes, which are leading to increasing output. Manufacturers across all areas, such as pharmaceutical, chemical, durable goods, and electronics are currently investing actively for the IoT integrate processes and consequently, the global IoT in manufacturing market is projected for a robust CAGR during the forecast period of 2017 to 2025. 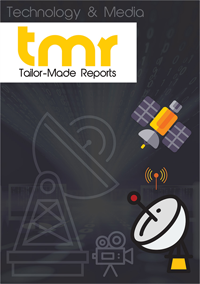 This report on global market for IoT in manufacturing is an exhaustive overview of the current scenario and based on an analysis of all the factors that are expected to influence the demand over the course of next few years, it estimates the future state of the market. The report also highlights a few trends that must be utilized by the existing and new players of the market to gain advantage over their competitors. One of the key features of the report is the section on company profiles wherein a number of prominent players have been analyzed for their market share, technological strength, product portfolio, geographical presence, and recent strategic developments. The global IoT in manufacturing market can be segmented on the basis of software, platform, service, application, vertical markets, and geography. By software, the market can be divided into network and application security, network and bandwidth security, remote monitoring system, data management, and smart surveillance. On the basis of platform, it can be categorized into device management, application management, and connectivity management. Management services and professional services can be the segments in terms of service, while on the basis of application, it can be classified into predictive maintenance, business process optimization, asset tracking and management, logistics and supply chain management, real-time workforce tracking and management, automation control and management, and emergency and incident management and business communication. Automotive, industrial equipment, electronics and communication equipment, chemicals and materials equipment, and food and agriculture equipment are the industries using IoT in manufacturing. Geographically, the report studies the opportunities available in the regions of North America, Europe, Asia Pacific, and Rest of the World. The demand for agile production in order to improve efficiency is the primary driver of this market. With IoT in manufacturing, centralized monitoring along with predictive maintenance within the manufacturing base is possible. IoT not only helps the manufacturers to improve production and analyze the areas that have a scope of improvement, it also assists in detecting faults in vast infrastructures, consolidate their control rooms, and increase analytical functionalities. IoT in manufacturing also helps in bringing transparency to the supply chain and other connected logistics. Moreover, increased investment in the field of IoT by manufacturers is expected to escalate continuously, which will further boost the demand during the forecast period. However, some of the barriers for this market from attaining its full potential are: increasing threat of a cyber attack, cost of integrating IoT into a factory, and difficulty in determining return of investment (ROI). Currently, the region of North America serves the maximum demand, with the U.S. and Canada dominating as country-wide markets. These well-established economies gain consistent incentives from the government too for the adoption of new technology. The advent of small and medium enterprises is another factor favoring the the growth of the North American market. IBM Corporation, Microsoft, TATA Consultancy Services, Fanuc, Zebra Technologies, PWC, Stanley Black and Decker, Lockheed Martin, Epson, KUKA Systems Group, Intel, Gartner, Cisco Systems, Inc., PTC, Inc., General Electric, and Rockwell Automation are some of the key companies currently active in global IoT in Manufacturing market.